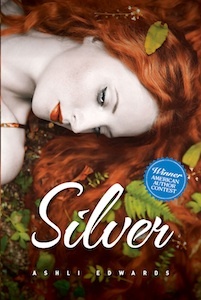 Silver is the story of Jules, a four-hundred year old vampire. She is living in modern day Aboit, Maine with the small coven she leads. Plagued by self-doubt and a distain for her immortality she meets Luc, a werewolf with royal blood and heir to his pack. After a surprising blind date, try as she may, there is no going back…she’s in love. The couple survive repeated attacks on her life and the betrayal to both species. Although they gain allies along the way, their love and the murder of someone close to them fuels a dangerous battle with Luc’s pack on one side and a small band of humans, vampires, and werewolves on the other. This is a story about love, life, and loss told through the eyes of immortal beings.